You’ll find below the patch notes for the update 1.04 available for PlayStation 4. This new patch focuses on bug fixes reported by community members such as black screen issue in character select screen. Below are the fixes we’re bringing with the latest update. – Fixed issue with network NAT traversal. Players should finally be able to match properly. – Fixed crash when trying to access ‘my score’ in leaderboards. – Fixed crash issue in character select screen when switching characters rapidly. On behalf of the whole team, we’d like to thank you all for supporting us. 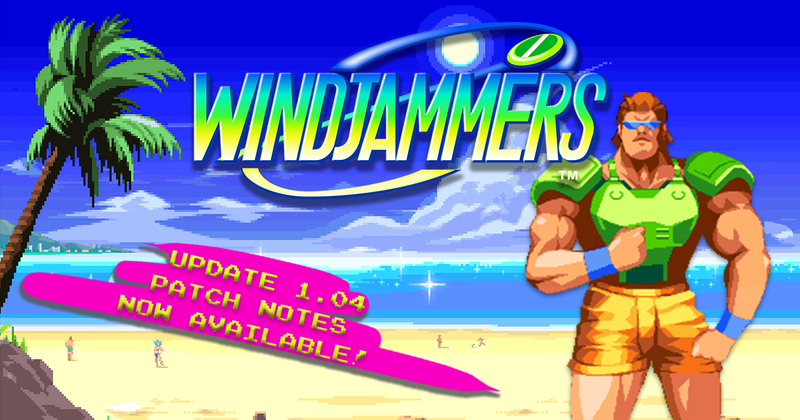 For more information on Windjammers, stay tuned on flyingpowerdisc.com.